Chef Manny specializes in catering for all your events and occasions. We are a versatile team that will adapt and create a unique dining experience that your guests will enjoy and treasure for a very long time. Operating out of Toronto, Ontario we are able to serve the Golden Horseshoe area and beyond. Our gourmet catering includes a wide array of services. 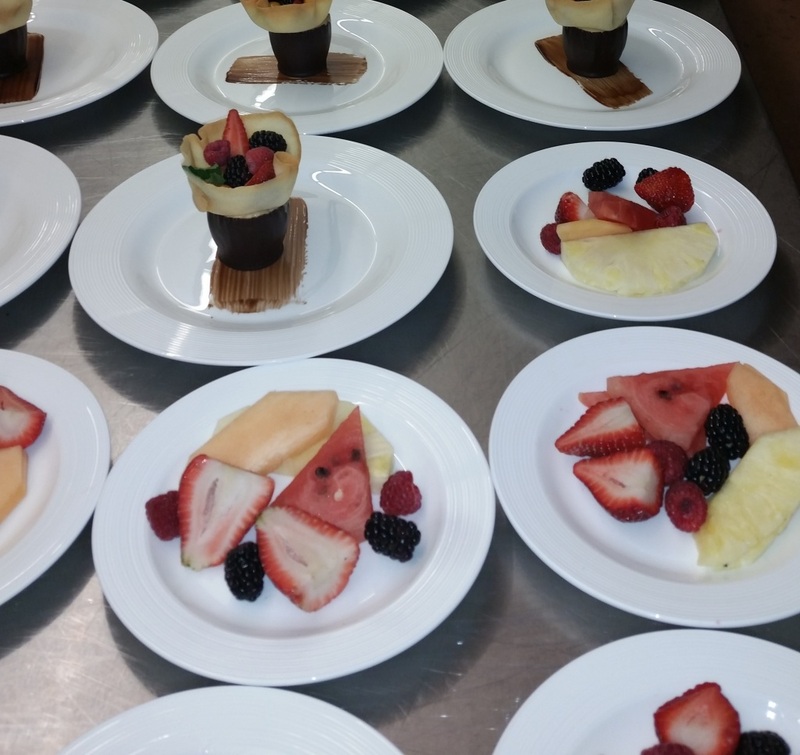 We can create an elegant five-course meal for hundreds of guests at the venue of your choice. If you wish to head a separate route, we can come to you. Do you fancy a world-class chef making a private dinner for you and your guests to enjoy in the comfort of your own home? Start deciding on whom you would like to invite, with Chef Manny the possibilities are endless! 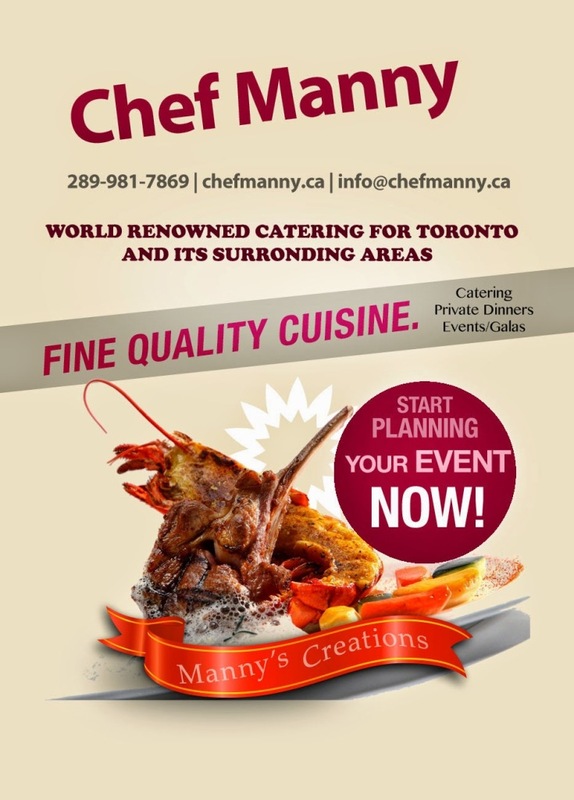 Servicing the Toronto, Ontario area for the past ten years, Chef Manny has never left an event in which his fine attention to detail went unnoticed. Majority of our events come through our referrals, can you blame them? Once they try Chef Manny, they don’t look at food the same. Contact us now and discover why we are the number one (1) choice for business, organization and family events within the Toronto area. Ever wanted to wow your close-knit circle of friends with a dinner experience of a lifetime? With Chef Manny you can make that dream a reality. Chef Manny can turn your gourmet kitchen into a 5 star restaurant! With a focus on cleanliness, using only the finest ingredients, and paying fine attention to detail; Chef Manny is able to deliver a gourmet cuisine experience at the comfort of your own home. Our private Catering options vary on request. Please contact us for answers to your inquiries within a 24 hour basis. See below our testimonials and view our numerous professionally catered events who have found our experience to be second to none. Thank you thank you thank you for such a wonderful evening you created for our guests. You made my husband’s 50th birthday an extremely special one, and exceeded our expectations. everything was absolutely delicious and so beautifully presented. Our guests were so impressed. Everyone commented on how amazing the food was. I can’t thank you enough, this was the most wonderful experience. You truly created a meal we won’t soon forget. We wouldn’t hesitate to recommend you to anyone and look forward to having you cook for us again in the future. On behalf of my wife, I would like to extend my sincerest gratitude for making my son’s baptism extra special. There was not one person who I spoke to that day who did not express their appreciation for your food. This is now my second time experiencing your menu and culinary art and you have not disappointed. Personally, the halibut was exquisite! I will most certainly keep you top-of-mind for any time we need professional and exceptional catering. If you need, I would be more than happy to act as a reference or testimonial for any future catering business you attract. I wish you a joyous and peaceful Christmas Season. Copyright © 2019 Chef Manny. Powered by WordPress and Saga.